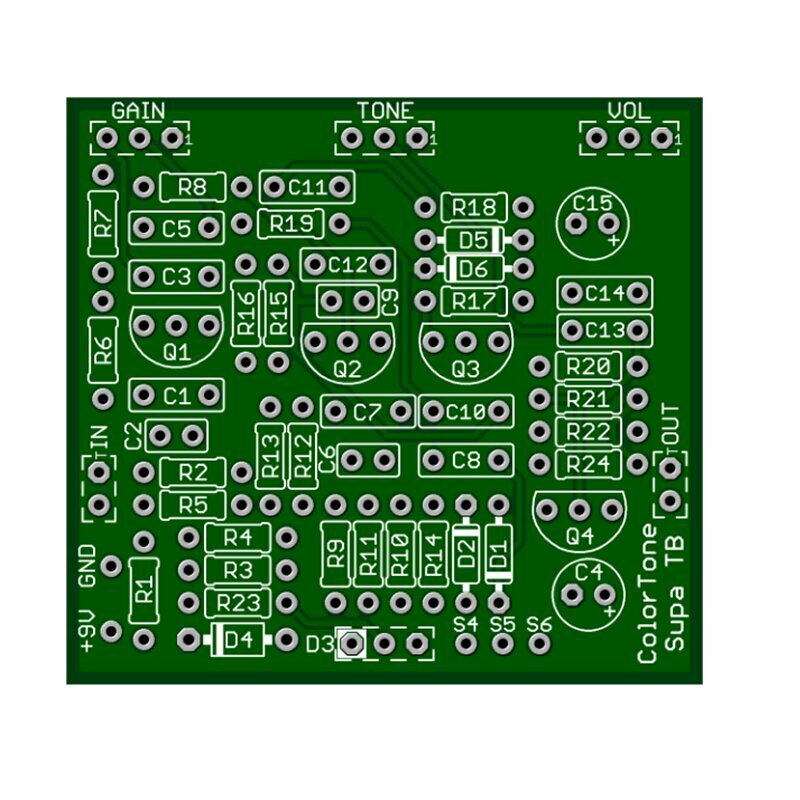 The ColorTone Supa Fuzz circuit is based on the original Supa Fuzz Tonebender. With unique tone control and classic fuzz used by the likes of Jimmy Page, Jeff Beck you can nail those early Zep style tones and more. 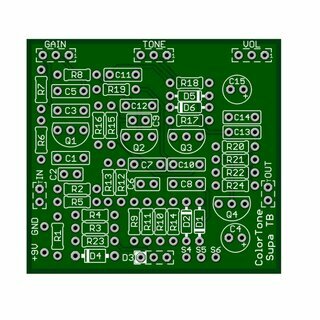 The dimensions of the pcb are 50x30mm.